Planting the “seeds” and watching them grow! In the past year AH has built and dedicated five permanent Synagogues in these kibbutzim: (1) Gonen (Upper Galilee, pop. 349 in 2014), (2) Dovrat (near Afula, pop. 297 in 2015), (3) Sde Boker (Negev-Ben Gurion’s Kibbutz, pop. 440 in 2015), (4) Kfar Menachem (in southern Israel, just east of Kiriyat Malachi, pop. 1,275 in 2015) and (5) Elon (located a mile south of Lebanese border and six miles east of the Mediterranean coast, the kibbutz sits on a ridge between two streams, Nahal Betzet and Nahal Kziv, pop. 962 in 2015). Beyond prayer services and lectures, AH is creating/making unique menorahs to be given to each of these five Kibbutzim. Happy Hannukah!! Kibbutz Snir Has a Sefer Torah and Minayim! Kibbutz Snir is a HaShomer HaTzair Kibbutz in northern Israel, located in the Hula Valley near Kiryat Shmona and the Banias on Israel’s northernmost border. In 2015 it had a population of 544. AH has been meeting with members of the Kibbutz for over 1.5 years. After much deliberation and hard work with the community, they agreed to receive a Sefer Torah. AH dedicated the Sefer Torah, which is now housed in the Kibbutz’ Community Center. The members have minyanim every Shabbos night, and now they are instituting Shabbas morning prayers—a tremendous achievement! If you are ever in the Banias area, please stop in to visit the members involved in this holy project—your visit will give them much strength and support! Thanks for Sharing in our Simcha!! Thanks from the entire Raanan Family for participating in our simcha (our son’s wedding) either by attending or writing or calling! It truly warmed our hearts that we were able to share this great simcha together and that with G-d’s help we will continue to share only simchas together. 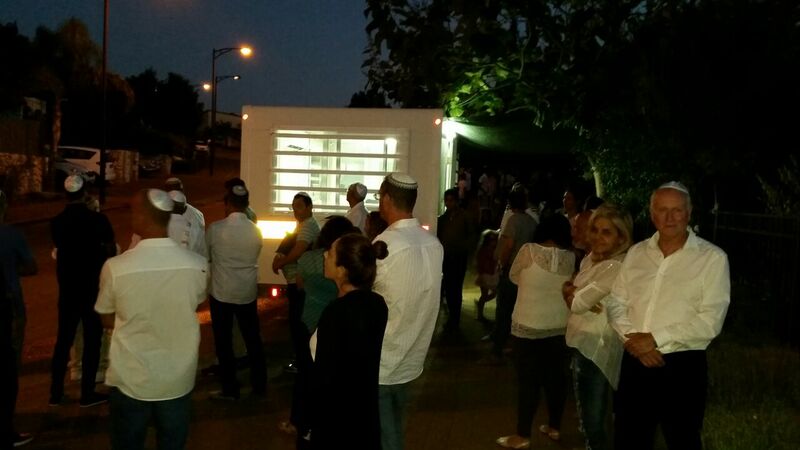 Kibbutz Gvar’am Celebrated its first Bris and Has Mezuzot! Gvar'am is a kibbutz in southern Israel, located around 12 kilometers from Ashkelon on the road to Yad Mordechai. In 2015 the population was 372. 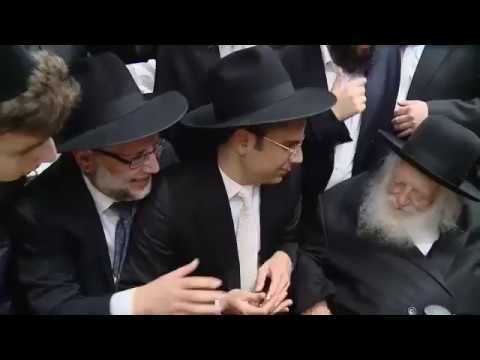 Two years after AH dedicated a Synagogue there, many bar mitzvahs and Aufrufs/Shabbas Chattan (Aliyah of groom the Shabbos before his wedding) have been celebrated. Two weeks ago the community celebrated its first Bris! Three weeks ago AH together with Rabbi Allen Schwartz from Kehillah Ohev Tzedek (New York City) and Kibbutz members placed tens of mezuzahs on the homes of the residents! May they go from strength to strength! Our deepest thanks go to Rabbi Schwartz and Kehillas Ohev Tzedek for participating in and supporting this amazing project.